Want to align teeth without braces? Want to correct bite or align teeth? Stop google – Ask professional orthodontist. * 1 hour и 0 rub. Our Orthodontic department consists of 15 specialists, 5 of then are recognized experts in orthodontics and opinion leaders. Digital diagnosing using innovative 3D CBCT tomography and high-definition Leica dental microscope with apochromatic LED-optics. Konfidencia clinic was founded in 2001 as scientific and clinical base in Russia of American corporation Ormco - the world's leader in orthodontics. Our orthodontists are the first to learn about new technologies and, themselves create orthodontic treatment techniques across the world level orthodontists. Brand new level of transparent braces. 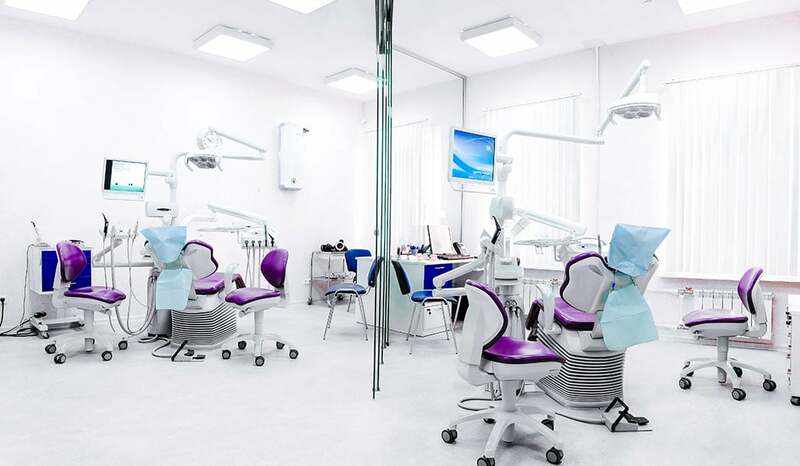 Clinic of an Aesthetic Orthodontics "Konfidencia" was founded as the scientific and clinical base of Ormco Corporation (the flagship of world orthodontics). We are one of the best orthodontic clinics in Russia and the only clinic focused to the concept of aesthetic orthodontics. Our doctors do not simply return the aesthetic aspects of a smile to adults and children, but also competently treat difficult patients with problems of the joints and bite. We are proud of our team - they deeply know everything about orthodontics, work only according to international protocols. They are the first to learn all about new technologies and create orthodontic treatment methods themselves at the level of world specialists. In addition to dental treatments, our orthodontists are engaged into scientific work and supervise the clinical practice of promising young doctors. 18% of orthodontists in St. Petersburg underwent residency or training specifically in Konfidencia. We offer you to get best worldwide orthodontic experience locally in St.Petersburg.